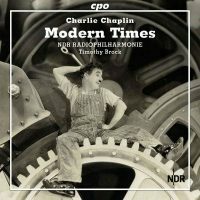 Charlie CHAPLIN: Modern Times (1935-36; orch. Edward POWELL, David RASKIN; score restoration Timothy BROCK, 1999-2000). NDR Radiophilharmonie, Timothy Brock (cond.). cpo 777 286-2 (1 CD) (http://www.cpo.de/). This may be Chaplin’s finest score, but without the movie, these nearly 80 minutes pass by like a museum exhibition in a foreign land. MAYBE. 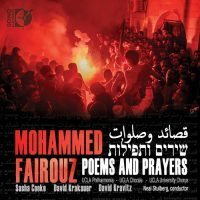 Mohammed FAIROUZ: Tahrir (2011)1; Symphony No. 3, “Poems and Prayers” (2010)2. David Krakauer1 (clar), Sasha Cooke2 (m-sop), David Kravitz2 (bar), UCLA Philharmonia1,2, UCLA Chorale2, UCLA University Chorus2, Neal Stulberg1,2 (cond.). Sono Luminus DSL-92177 (1 SACD + 1 BluRay) (http://www.sonoluminus.com/). The vision of world peace is admirable, but frankly, the music does not sustain. Maybe check back after he notches a few more symphonies. NO. 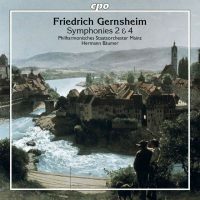 Friedrich GERNSHEIM: Symphony No. 2 in E-flat major, Op. 46 (1882); Symphony No. 4 in B-flat major, Op. 62 (1895). Philharmonisches Staatsorchester Mainz, Hermann Bäumer (cond.). cpo 777 848-2 (1 CD) (http://www.cpo.de/). Forgotten Gernsheim has Brahms’ inventiveness and vocabulary, but scant evidence of the ponderous complications and overstuffed baggage. YES. Julius RÖNTGEN: String Trio No. 1 in D Major, Op. 76 (1915); String Trio No. 2 in A Minor, “Dvořák” (1918); String Trio No. 3 in E Minor (1919); String Trio No. 4 in D Major, “Walzer Suite” (1919). 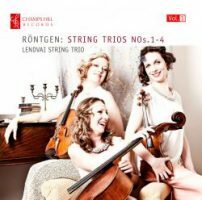 Lendvai String Trio: Nadia Wijzenbeek (vln), Ylvali Zilliacus (vla), Marie Macleod (vlc). Champs Hill Records CHRCD068 (1 CD) (http://www.champshillrecords.co.uk/). An excellent series start rescuing Röntgen’s 16 trios from obscurity. No. 2 borrows a Dvořák tune. 3 and 4 were finished the same week. YES. 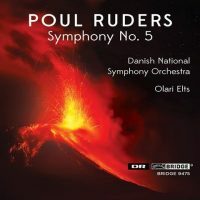 Poul RUDERS: Symphony No. 5 (2012-13). Danish National Symphony Orchestra, Olari Elts (cond.). Bridge Records 9475 (1 CD) (http://www.bridgerecords.com/). Propulsive modernism, light on dissonance, but strong on flash and dynamism. However, all three movements sum to less than 27 minutes. MAYBE. 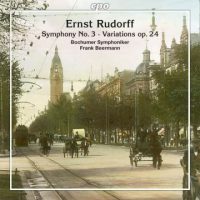 Ernst RUDORFF: Symphony No. 3, Op. 50 (1911); Variationen über ein eigenes Thema, Op. 24 (1875). Bochumer Symphoniker, Frank Beermann (cond.). cpo 777 458-2 (1 CD) (http://www.cpo.de/). Even in his day, Berliner Rudorff was old fashioned. It’s hard to enjoy stuffy, anachronistic music when it simply isn’t very memorable. NO.